How To Extract .Zip and .RAR Files on Mac OS X? You are here: Home / Mac / How To Extract .Zip and .RAR Files on Mac OS X? We received many mails from users asking How to open and extract .RAR files in Mac OS X? 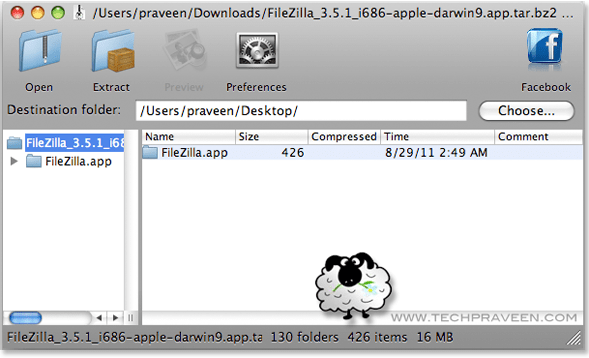 Is there any freeware utility for extracting .Zip and .Rar files in Mac OS X? Yes there are some freeware utilities for extracting .RAR files in Mac OS X. And we suggested Zipeg application for the people who mailed us. Zipeg is a free archive decompression software for both Windows and Mac OS X. Zipeg opens ZIP, RAR, ARJ, LHA, 7z and many other types of archives. Zipeg helps to preview files and photos (.jpg, .png) before extracting them. Decompress, unzip, expand, extract or drag and drop exactly what you want to where you want. Opens CD and DVD “.iso” image files. Customizable destination and source of extraction. Opens files in Preview directly from the archive.